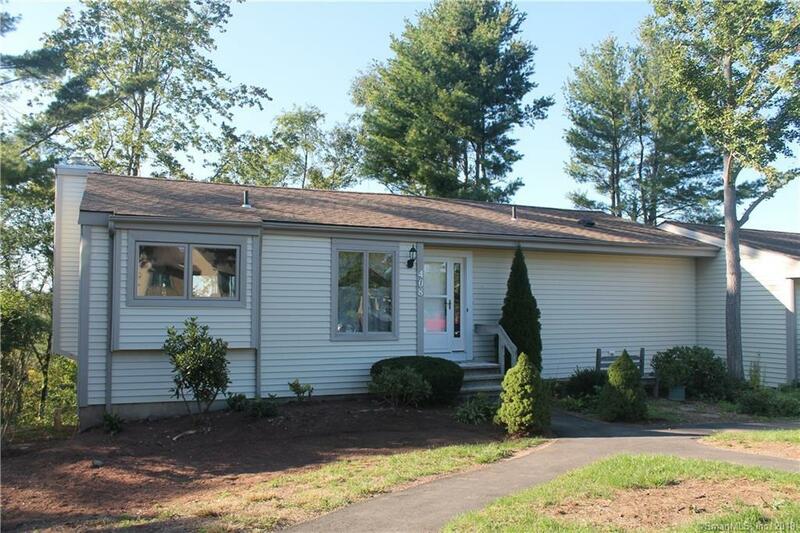 Beautifully updated and sizable End Unit Ranch with a 2 car garage situated on Priscilla Dr, the highest Pilgrim's Harbor location with the best views! Just a few steps will take you into your condo with it's custom kitchen, appointed with draws, granite counters, a gas stove, and a pantry built around the refrigerator. The dining room fits a large table for a family or entertaining. The living room has a fireplace and 3 sliders making it easy to enjoy a view of the orchards on the West side of Wallingford and the mountains beyond. There is a first floor master suite with a remodeled tiled bathroom and a 2nd bedroom with a hallway full bathroom. The lower level has an additional finished family room with 2 sliders to the backyard patio, a laundry room with storage and an over-sized 2 car garage. Pilgrim's Harbor is in the last stages of a 5 million dollar capital improvement project. This unit has all new windows and sliders. The complex is adjacent to Traditions Golf Club making it within walking distance to the restaurant, putting green, and practice range. Amenities include a huge pool, and tennis courts. Enjoy an active friendly resort style community close to highways, Quinnipiac University, and Choate Rosemary Hall. Directions: Go To Traditions Golf Club And Take The 4th Left On Priscilla Dr Unit 408 On Right.